Good game from him. But I was expecting at least 5 steals and 5 blocks. Might need to drop him at this rate. I’ll just be happy if he gives me 20 plus points and 10 plus rebounds on solid percentages, anything else is just a bonus. 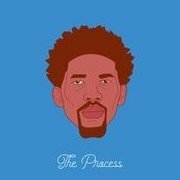 Embiid is better than Towns and it’s not even close. Will he play in the next game? 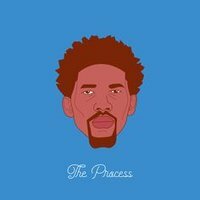 Embiid would be the number 1 pick if we drafted today! Does he benefit from Mitchell's injury at all? He has already been in beast mode to begin the year but could he get even better? what sort of numbers should we be expecting fro him this season? He’s supposed to be re-evaluated today. Has anyone seen anything on when he will be back? Is he playing tomorrow? I haven't heard any news on him? I got him at pick number 7 in my 8 Team Money League. People must be getting scared because he just had knee surgery but i believe he easily has top 3 upside in points leagues, specially with Melo now gone. It’s questionable as in your knowledge of the game of basketball.